Looking back on the past twelve months, the list of possible candidates for best films of 2014 have been almost endless. With 300 films to choose from (although I never made it to every one of them, just felt like it) the range of films have been impressive. I thought that 2014 was a strong year. I never expected this year to match it. Now for the big ten! The films that I have enjoyed the most this year. I have to confess that I had a titanic battle between the top two, each one having merit for being there yet each very different films indeed. In the end, it came down to one thing…entertainment value. So until you reach that point, here are my top ten in reverse order. Probably this year’s most original film, a wildly off-beat, often hilarious comedy with some superb performances, gags that were genuinely funny and Michael Fassbender giving the best performance from a man underneath a giant head. Close to genius. Without a doubt the best horror this year and probably the most misuderstood film of the year too. This wasn’t about just going “Boo!” This was a deeply psychological tale of how a mother could fear her own child and how she could do damage to him. Stayed with me a long time after seeing it. 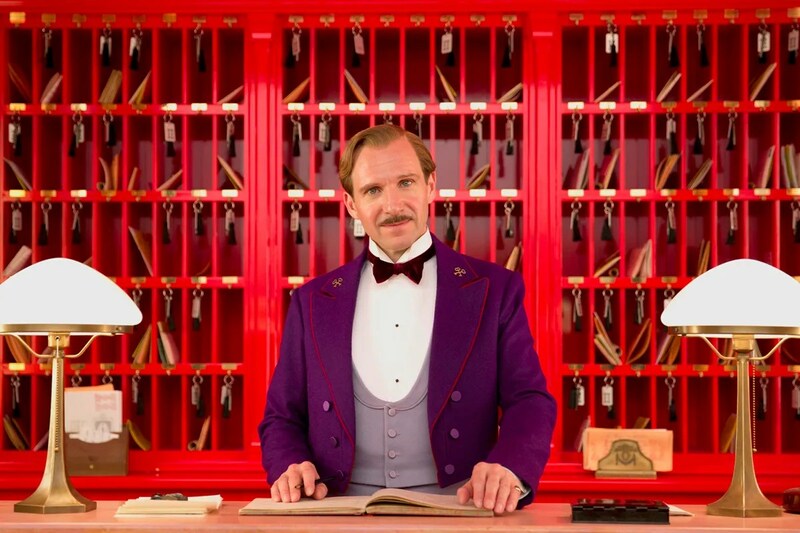 Wes Anderson’s wonderfully weird comedy farce set in a lavish hotel and Ralph Fiennes proving his comic worth among a galaxy of star cameos. A clever, mature yet mad-cap comedy that had plenty of laughs as well as Anderson’s unique sense of style. Animations don’t come funnier than this. A wild and crazy comedy about an ordinary builder who becomes the one one who can save Lego Land. Surreal, colourful and hugely entertaining, it’s the biggest film this year and you can understand why. Everything is awesome indeed! A powerful drama that allowed us into the world of epilepsy. Agyness Deyn’s incredible central performance and a simple tale with a twist made for a gripping yet heart-felt journey about a girl in the big city looking for her long lost brother. A must see film. Benedict Cumberbatch as Alan Turing, the man who helped crack the German Enigma code and then was treated like a criminal, was, for me, the performance of the year in a film that was funny, sad and unbelievably exciting. With solid support from Keira Knightley, Charles Dance and Mark Strong, this allowed us to see a true hero of World War II. David Fincher’s film version of the best seller was a huge surprise. A gripping thriller that had more than it’s fair share of twists. Ben Affleck was perfect as the husband accused of killing his wife and Rosamund Pike finally proved her acting abilities with a superb performance as the wife. Steve McQueen’s Oscar winning drama based on the true story of Solomon Northup was possibly the most disturbing film of the year and one that I won’t be watching again for a while. A powerful yet beautiful looking piece that included terrific performances from the stellar cast. Haunted me for weeks after. If this magical drama, filmed over 12 years, doesn’t walk away with the Best picture Oscar next year, there is no justice in the world. Richard Linklater’s extraordinary tale of a young boy who grows up from 6 to 18 and we follow that journey. A film that everyone could relate to and emote with, it was a triumph from start to finish. This is everything that a good blockbuster should be. 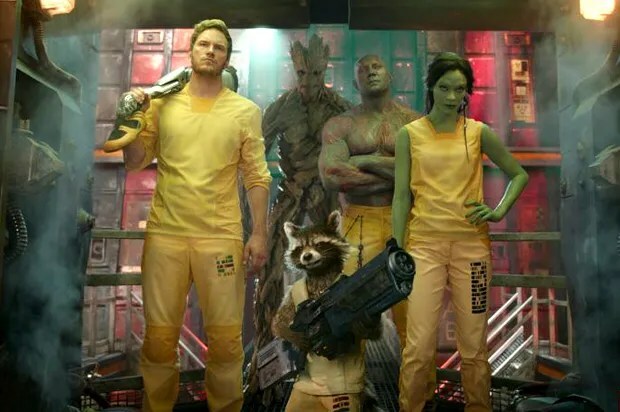 Funny, smart, exciting, memorable and with the best soundtrack this year. The adventures of the misfits from space was a surprise to everyone and it just reminded me how I felt the first time I saw Star Wars. It also included Vin Diesel’s greatest performance to date…as a tree! This is what cinema should be like…pure, guilt free entertainment.